A few of my favorites and a few things on my wishlist for mother’s day! 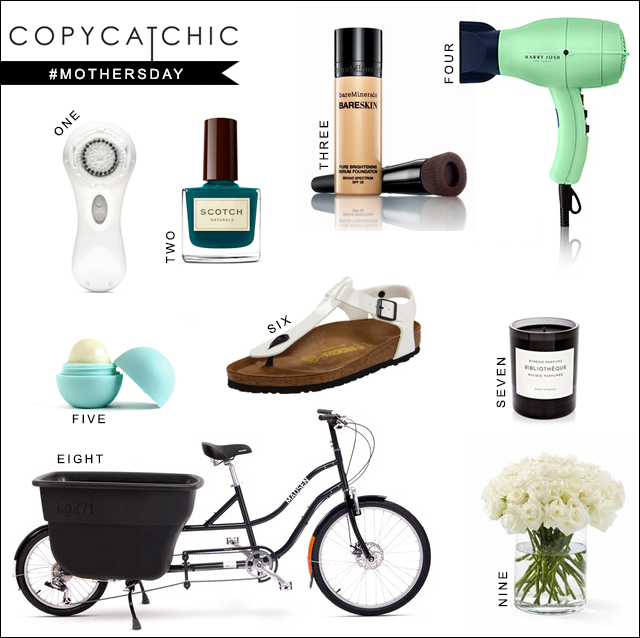 Just in case you need a little help figuring out what to get those mamas in your life! This post brought to you by World Market. Both the kids are off this week for winter vacation. 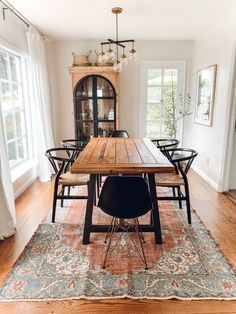 I don’t know about you, but when the kids are off…there is definitely no vacation going on – for me at least 😉 So I find myself thinking of ways to sneak a little down time in. It doesn’t take much; a nice, soothing cup of warm tea. A hot, scented bath, even a quick minute for a couple of drops of essential oil makes a difference. 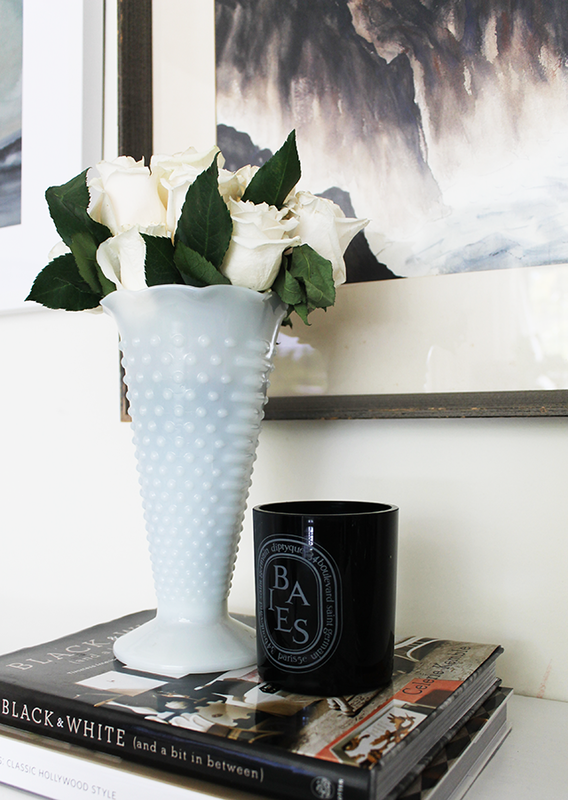 I like setting up opportunities for little peaceful moments around the house. They help me keep my peace of mind in the midst of the chaos (that is kids). Here are some of my favorite picks at World Market. As you all know, World Market is one of my favorite places to shop. They always seem to have what you need – no matter how random it is. I even found some white sage there on my last trip! Okay, I know a lot of you have been waiting for this one! 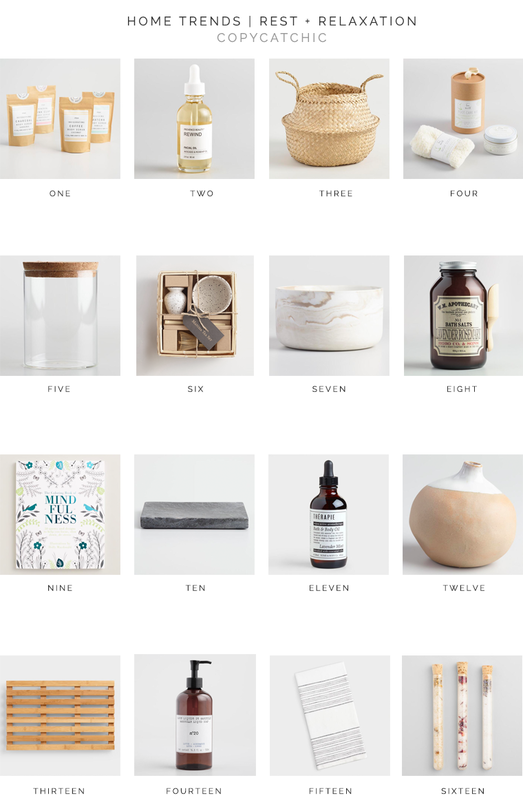 Last year’s gift guide was super popular! I hope you all like this one just as much 🙂 It has a bunch of my favorites and things on my wishlist! What are you hoping for this year? 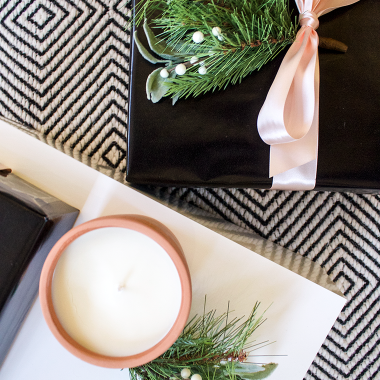 Also don’t forget to check out my gift guides for kids, men and tech lovers! And don’t forget to check out my complete list of advent calendar activities and goodies for the little ones as well! 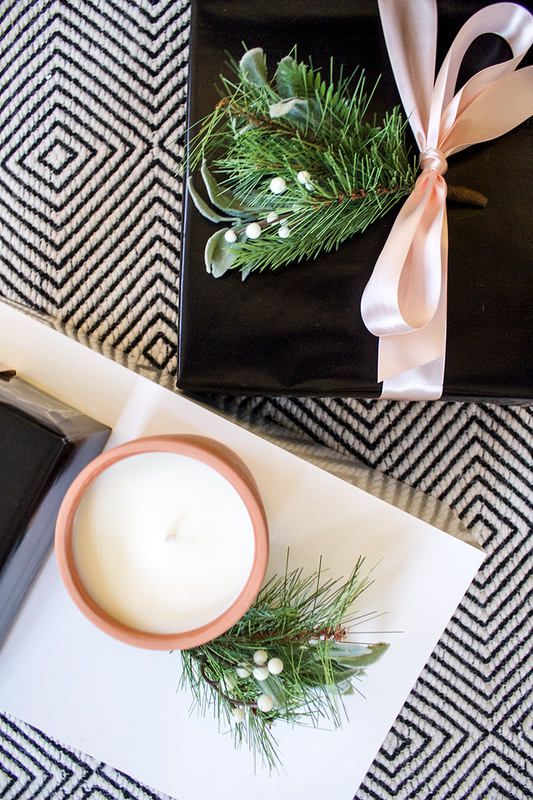 Figured I’d help you out with your holiday shopping and start posting my holiday gift guides! Starting off with one for the ladies! Here are some of my favorites old and new this year! 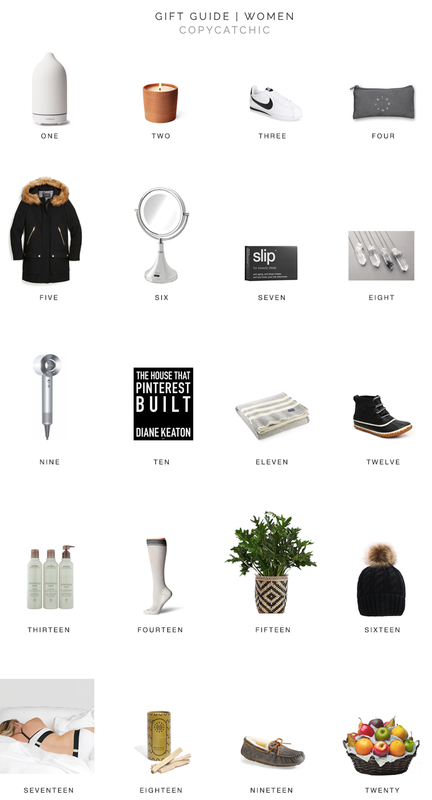 Also for more holiday gift inspiration you can see my gift guides for men, kids, pets and tech! I love a festive new wrap for the season. This one from Garnet Hill is 100% merino wool and SO nice. 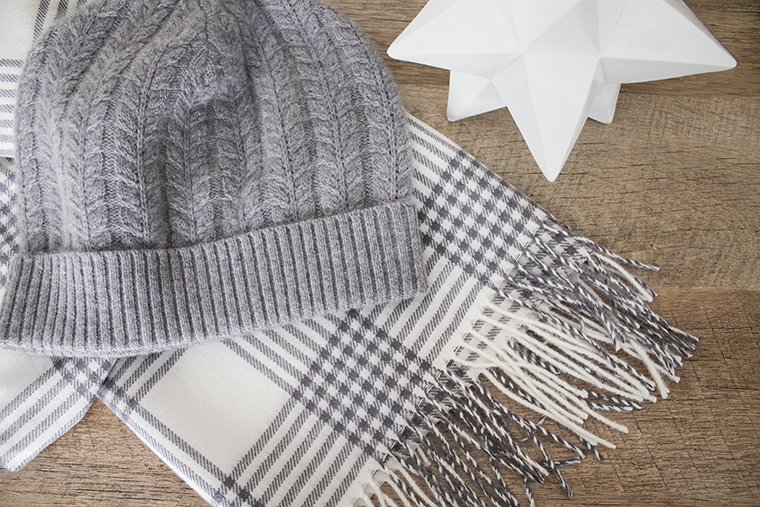 Nothing better than a soft, cozy hat to keep you warm! 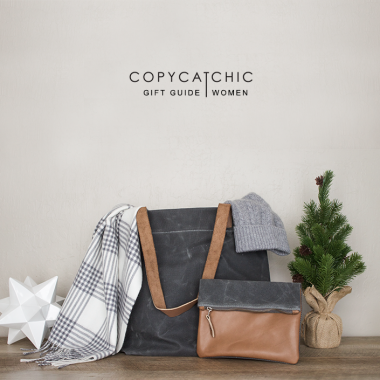 A great versatile tote & matching accessory bag makes a perfect gift. Ahhh, sweater dresses are so damn comfy. Love the color of this camel wool jacket. These are perfect socks to keep your tootsies warm and happy. The leather detail on these boots are just so great! These Nikes are where it’s at. There’s just something so luxurious about a gold candle. These make perfect keepsakes and can be worn ALL the time. I’m loving this brand right now. All of their hair products have proven to top notch! This daily supplement is supposed to be amaaazing. And this limited edition gold bottle is so gorgeous. I’ve heard so many great things about Phlur fragrances. They’re consciously made with sustainable ingredients. Cool huh? Loving these lip crayons – this gift pack of 3 would make a great gift! 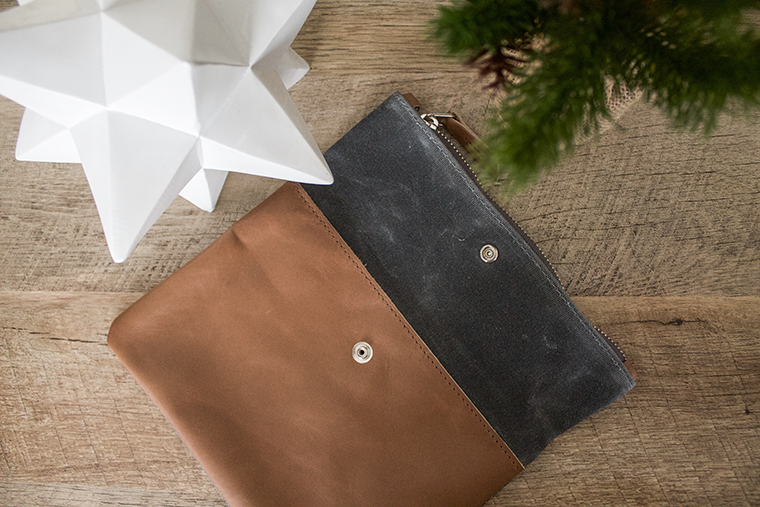 I love, love, love this adorable clutch right now. Dresses up or down so easily. Nothing says fun like a cute pair of unique sunnies (for a great price!). This post contains affiliate links. I was not compensated to write this post, but I was provided with a couple of products (above) to review and to give my honest opinion. 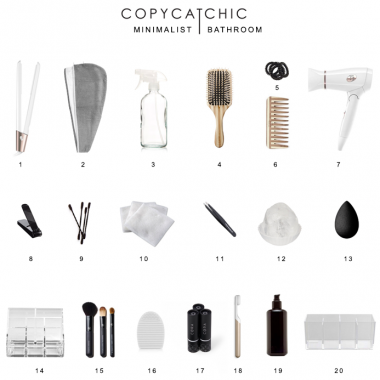 Thank you for supporting Copy Cat Chic! We’re venturing off into something a little different today. If you’ve been a blog follower for long, you’ll know that I like to live consciously, aka eco-friendly, aka green. I’ve talked about my skincare routine before, and today, I thought it would be fun to bring you my easy daytime makeup routine, all organic of course 😉 I’ve just recently started using Juice Beauty’s new makeup line. They released their makeup products less than a year ago actually, and already they’ve become a staple around here. 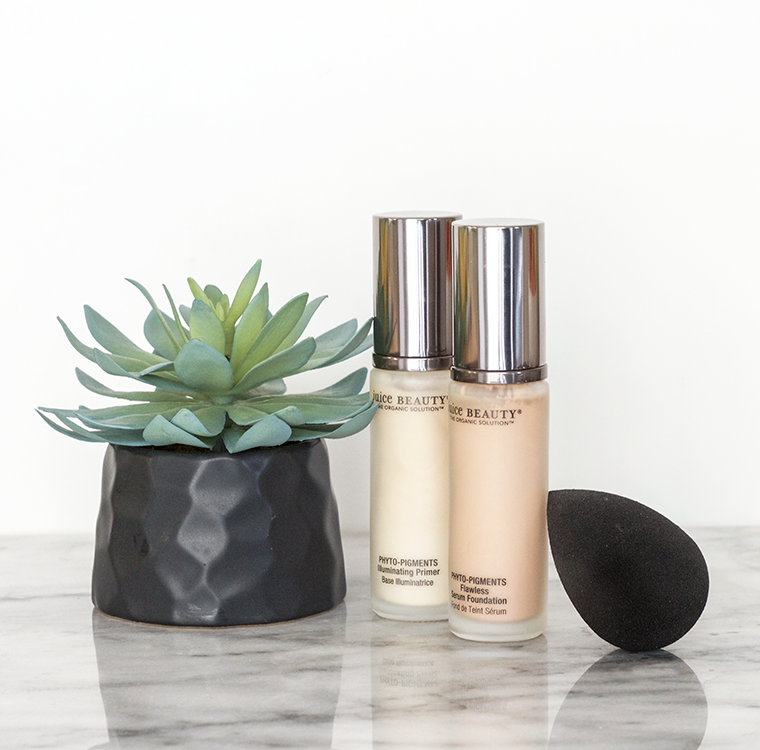 The foundation and concealer products work better than any I’ve tried! Each product is so moisturizing and nourishing for my (naturally dry skin). I’m not usually a big fan of makeup because I can feel it just sitting like a layer of paint on my face; not so with these! 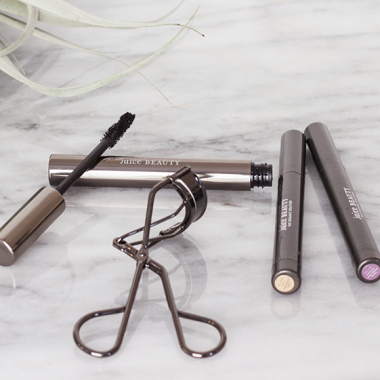 I no longer feel like I’m clogging my pores with toxic makeup. So I reached out to Juice Beauty to collaborate on this post (and giveaway) for you guys. I highly recommend, love (and USE) their makeup. In my downtime I’ve been slowly trying to go through and organize our “hidden” storage areas: closets, basement, cabinets, etc. Everything is pretty much unpacked since our move, but lots of things were unpacked and just thrown in closets or shelves. And there they’ve sat…for me to agonize over late at night when I’m trying to go to sleep 😉 SO I’m trying to be proactive about it and to take it one step at a time. Organize, purge and rearrange until I’m happy that we only have what we need and the chaos has been tamed. Then I move on to the next one…it’s a dirty cycle. Literally. So for today’s post I thought I show you the bathroom linen closet. This is like the bottomless pit of products. It’s a decent size and pretty much our only bathroom storage since we have a pedestal sink. 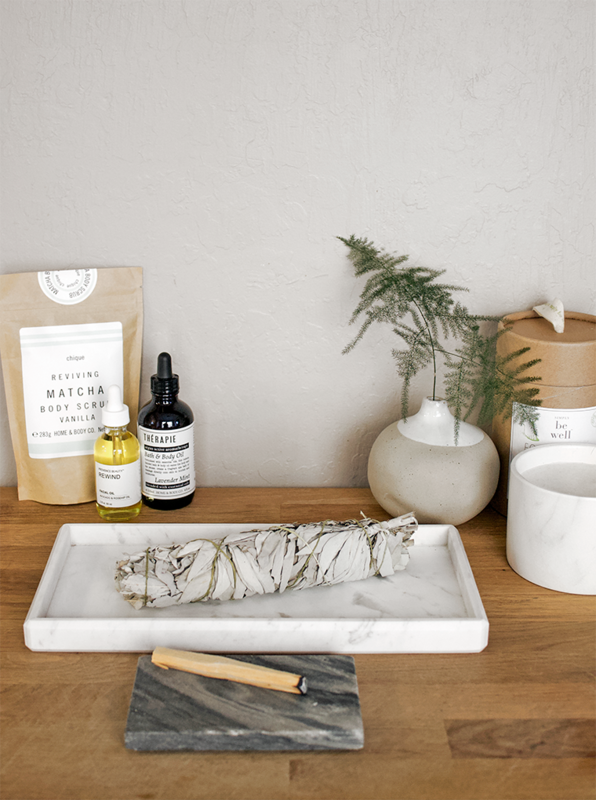 So it’s definitely a catchall…kind of like the kitchen junk drawer (next project maybe???). I thought it would be fun to make a video of the whole process showing you the before and after…and everything in-between. This turned out to be a long post, but as the list of products in the bathroom got smaller, the length of this post got longer 😉 Bear with me! 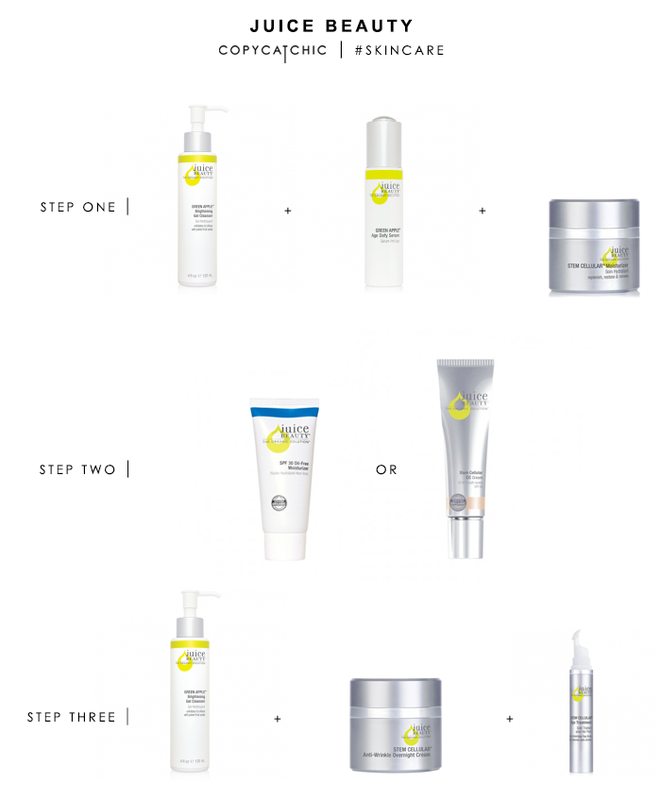 Today I’m walking you through my latest and greatest skincare regime. My last post on it was pretty popular, but I’ve found a new brand of skincare products since then that I’ve fallen hard for 🙂 Have you guys heard of Juice Beauty? I first discovered their CC cream that has gotten rave reviews. I’m not a huge make-up wearing person, so I thought this product sounded genius. It combines moisturizer, sunblock and color correction…all in one. and it works WELL. At the same time I ordered their CC cream I decided to order their Green Apple travel sized kit to sample more of their products. They’re organic and rated super well on the EWG skindeep website. I figured it couldn’t hurt to try it out. I have some freckling and sun marks on my face that I’ve been trying to get rid of. And you know what? I noticed a huge difference! My skin looks so much brighter and the sunspots aren’t as noticeable. It was a huge improvement. I couldn’t help but reach out to them to see if they’d offer a giveaway on my blog. 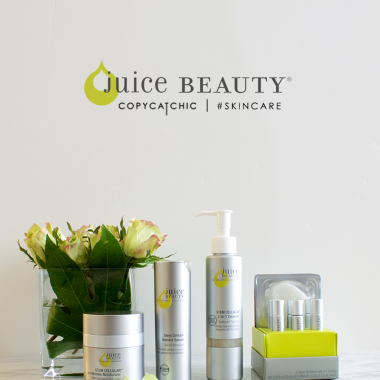 I only like to parter with companies that I believe in and Juice Beauty completely won me over. I know you’ll love them too! Juice Beauty is also celebrating their 10th Anniversary this year and they have some amazing deals going on until December 19th. You’ll have to check out their 10 days of beauty discounts! I start with this gentle cleanser, pat dry then use 1 or 2 pumps of serum. After waiting a couple of minutes for the serum to absorb I use a dab of moisturizer. Once the moisturizer has absorbed I either use the sp30 moisturizer or the cc cream. If it’s a casual day where I’m running errands or staying at home I’ll use the non-tinted spf 30 moisturizer. Or if I’ll be going to a meet up or mixer I’ll need more coverage so I’ll opt for the cc cream. I’ve even started dropping the cover up and powder when using make-up because the cc cream works wonders! At night I’ll use the cleanser again and pat dry. Then I’ll use the heavier overnight moisturizer and eye cream. What recently released product are you most excited about and why? 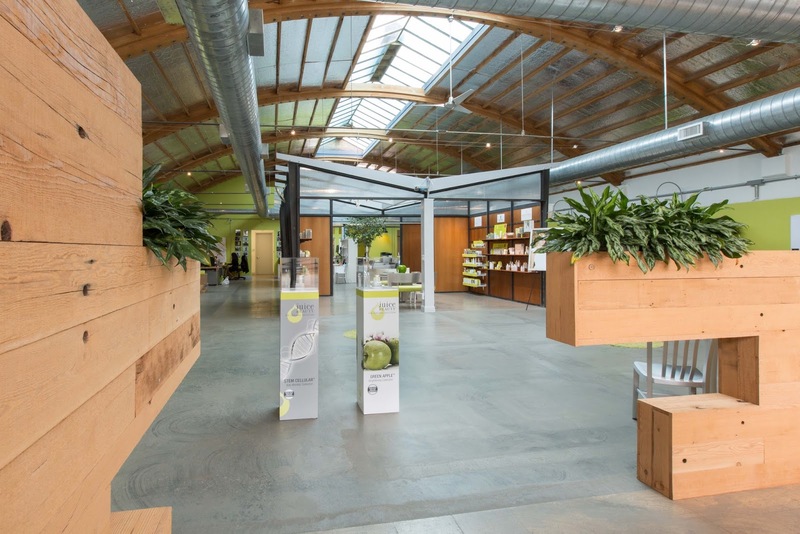 Juice Beauty is celebrating our 10th Anniversary this year! 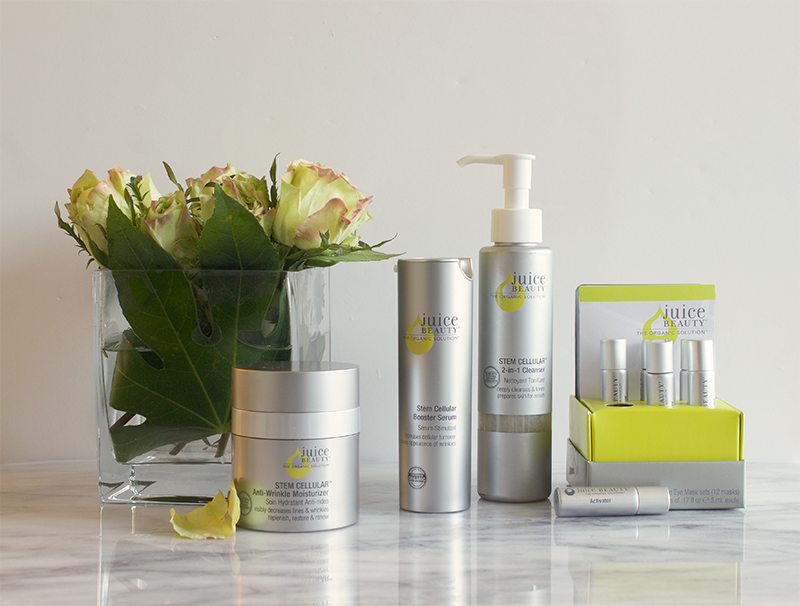 The concept for Juice Beauty was born when I became pregnant with my first baby at the age of 40. 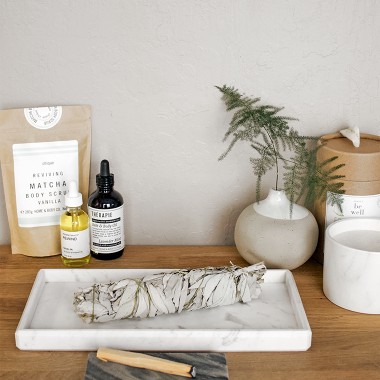 Although the skin can absorb more than 60% of what is placed on it, I couldn’t find any healthy personal care products available that delivered visible results, so I started rubbing organic olive oil on my skin and all sorts of “home” remedies!! Years later, well 10 years ago actually, I then became serious and set out to radically transform the chemistry of beauty. 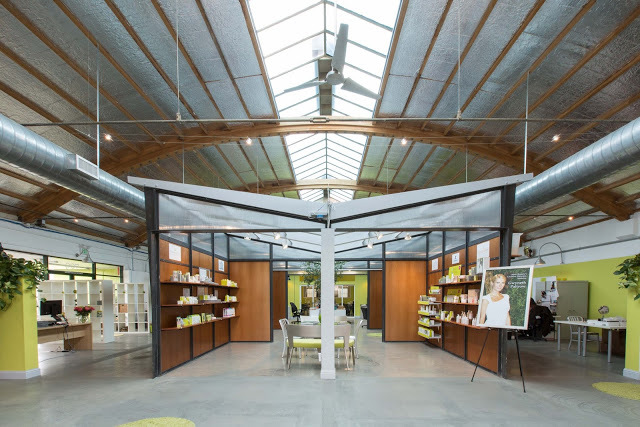 In 2005, I bought the name “Juice Beauty” and started the Company from scratch with a mission to do the impossible: create organic and natural formulations that perform as well as conventional chemical beauty products. The heritage of Juice Beauty is why I am so excited that we recently released our Green Apple Pregnancy Peel in a formula that is for women who are pregnant, nursing or looking to have a baby soon as it is our peel that is formulated without Vitamin A. I truly love that this product that gains it’s power from malic acid from organic green apples, and it brings us back to our original inspiration and how Juice Beauty got its start. Do you have any new products or partnerships coming soon that we should look forward to? What’s your most popular product of all time? The Juice Beauty STEM CELLULAR™ Moisturizer continues to be a best seller year after year. What our fans love most about this product is the performance. Clinically validated to enhance the appearance of wrinkles, it also has a luxurious aroma and texture. Unlike conventional skin care products that use water as the main ingredient, all Juice Beauty formulas actually start with an organic botanical juice base which helps to increase the antioxidant levels of our products so our customers can fight those free radicals! Our STEM CELLULAR™ Moisturizer features a proprietary blend of fruit stem cells and Vitamin C that we infuse into a resveratrol-rich grape formula to reduce the appearance of fine lines and wrinkles. It’s a great formula with great results, which is why it continues to be our most popular product. You can enter below using the rafflecopter widget! This post may contain affiliate links. 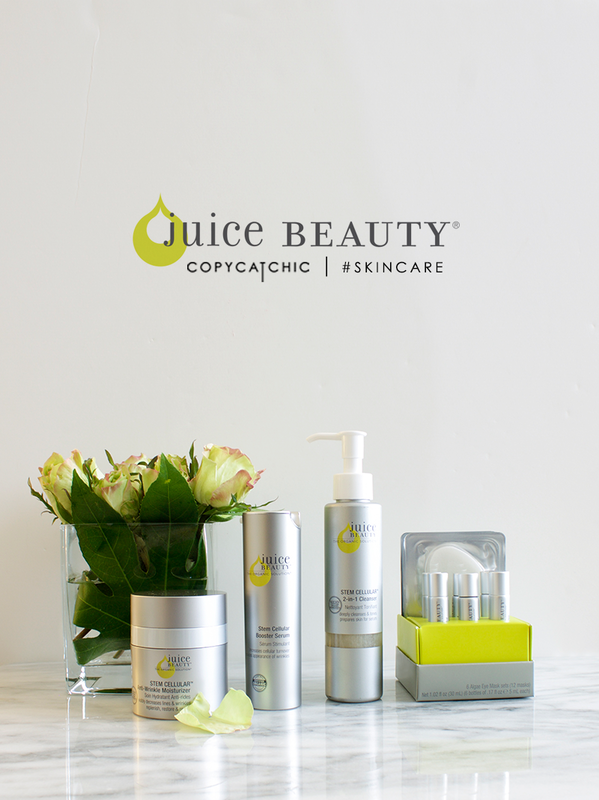 Thanks for supporting Copy Cat Chic and our generous sponsor Juice Beauty! Here are my other looks! 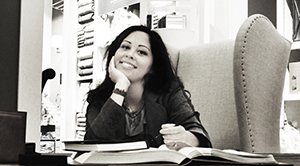 Check out the Scotch Naturals blog here, to see all of my sources! I was given a couple of Scotch Naturals nail polish to try out in exchange for my post. This post contains affiliate links. 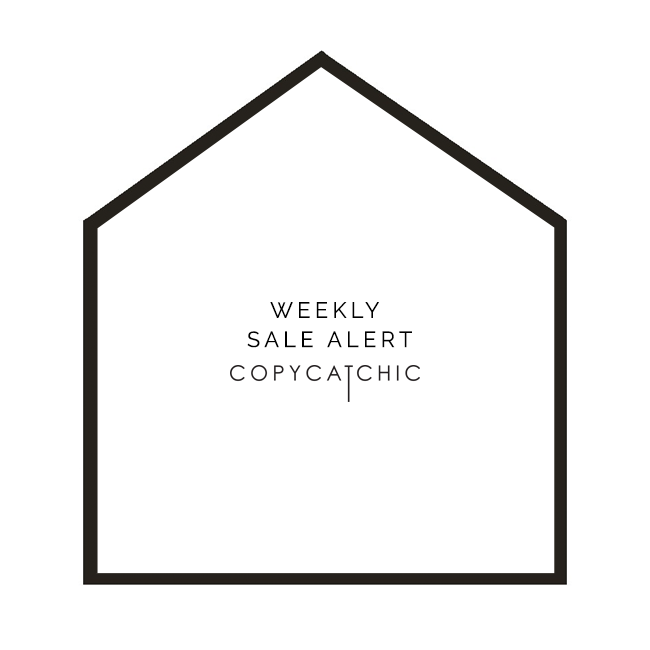 Thank you for supporting Copy Cat Chic. I hope all of you Mom’s out there are having an amazing day! ONE | I’ve heard nothing but great things about these Clarisonic skin brushes. THREE | BareMinerals just came out with this foundation. Got it a few days ago and love it! 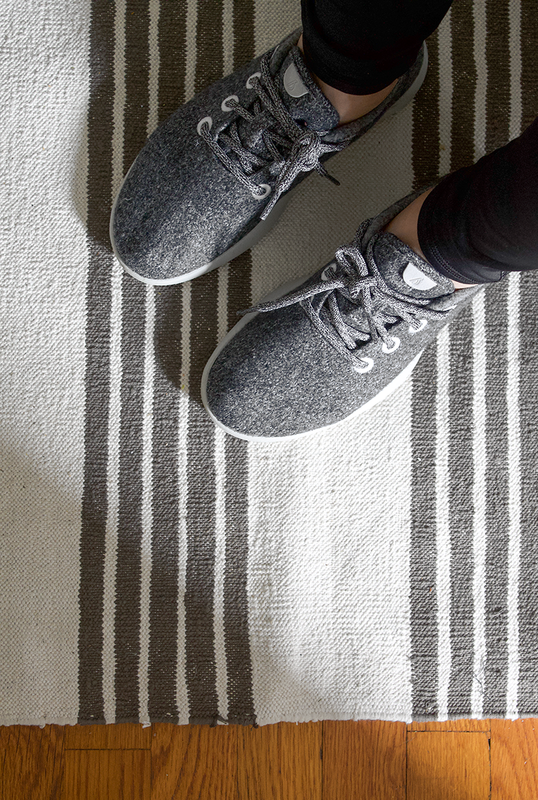 SIX | The latest trend, fugly but comfy! EIGHT | You can transport the whole family in this thing! 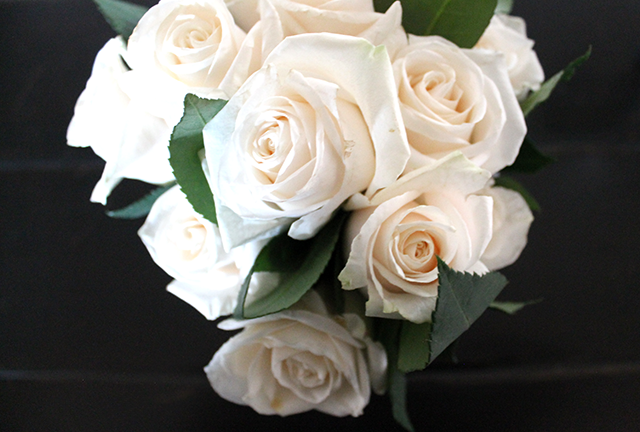 NINE | I’m loving gorgeous, lush white roses lately. I use pretty much any excuse to get fresh flowers. 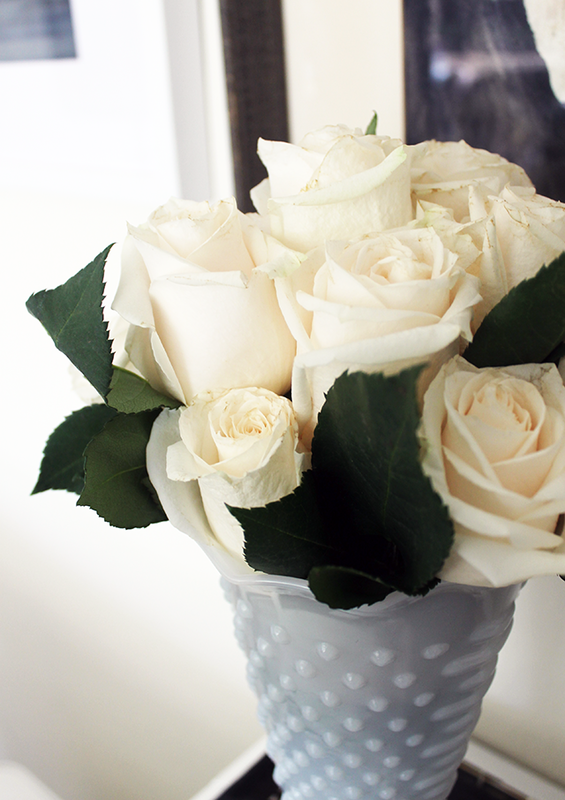 Nothing beats fresh blooms in the house, except for when they’re delivered right to your door. I had a dozen of these delivered just in time for Mother’s Day. 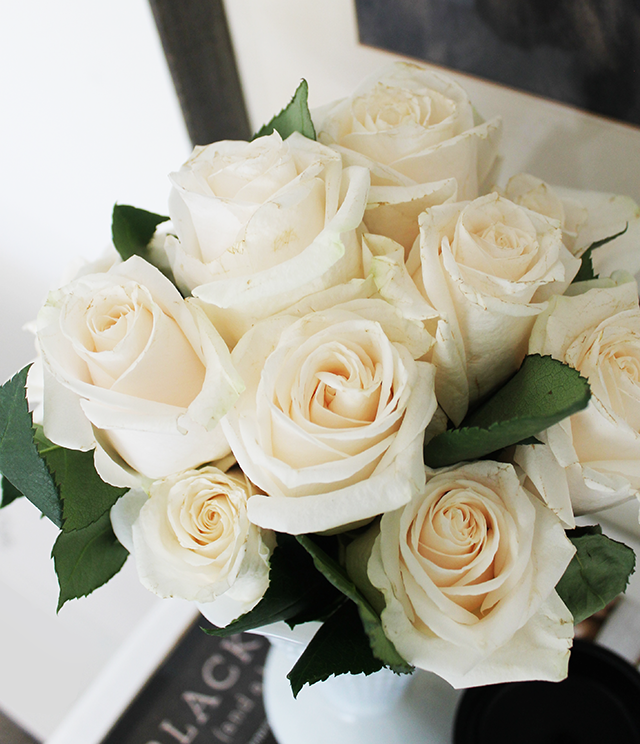 I ordered them from the The Bouqs. They are super fresh and the price is always consistent. Also, you get what you pay for. 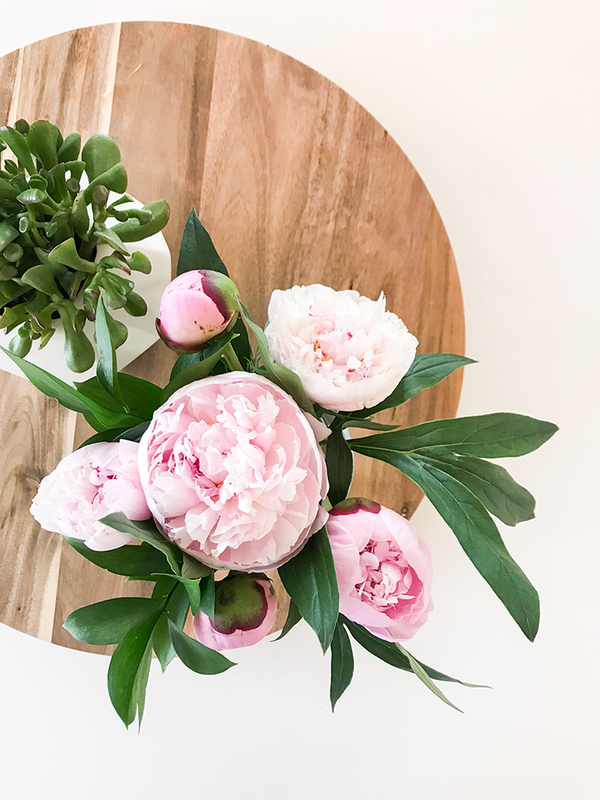 No substitutions or fillers, just all gorgeous blooms straight-up simple. This post may contain affiliate links. 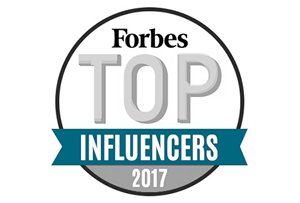 Thank you for supporting Copy Cat Chic.